All Apartments have the same amazing views with well kept pool and garden areas. The rates for such an experience are from our reviews, Affordable, Great value of money, very reasonable, and the rooms have everything you need. The types of rooms on offer are Small Studio (sleeps 3), Medium Studio (sleeps 2), Large Studio (sleeps 4), and One Bedroom (sleeps 5), all have Ensuites and Kitchens. The complex is smaller than most giving it a more personalised experience with a quiet and relaxing stay. 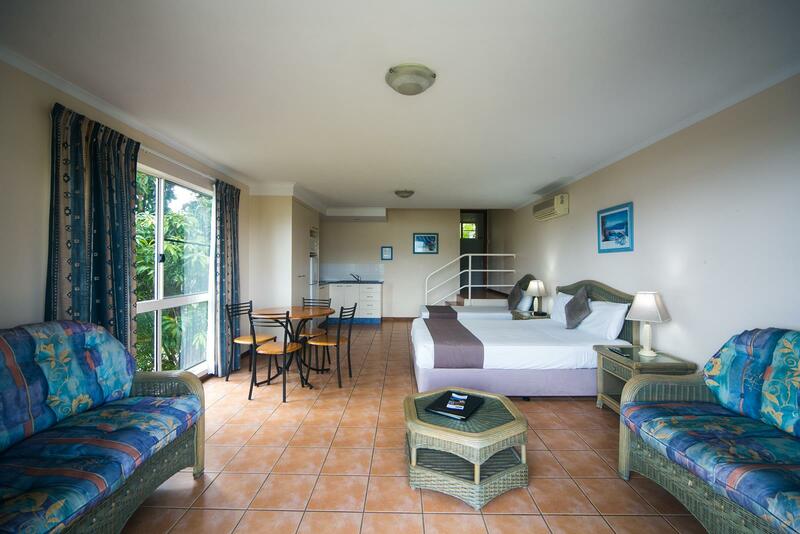 The rooms have all the facilities needed for an amazing stay, including Pool, Wi-Fi, Laundry, Car parking, BBQ, and Tour desk were Fiona has excellent knowledge of all tours and pricing, example Whitehaven Beach, Outer reef pontoon, Skydiving, or maybe a flight over the reef, just to name a few. The Classic Studio rooms sleep 3 people, 1 Double, 1 Single, with additional fold out bed if required. 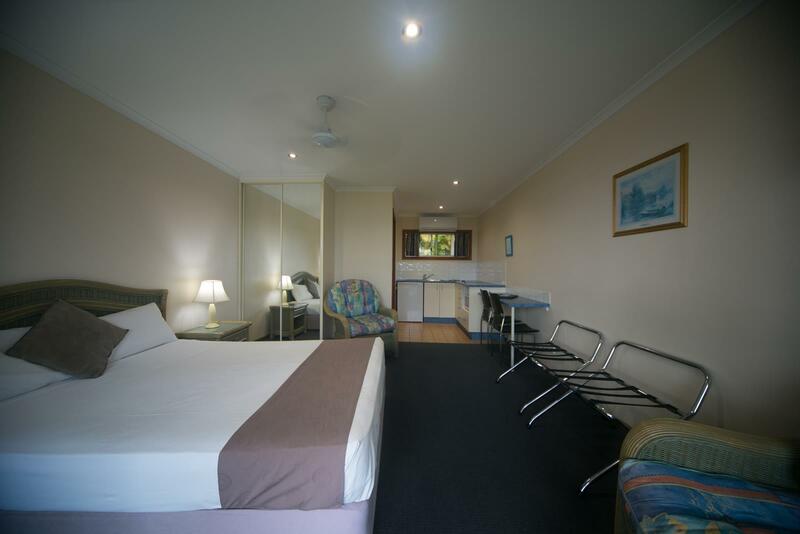 The room has an ensuite and kitchenette including WIFI, Air con, ceiling fans, TV, Hot plates & cooking gear, Microwave, refrigerator, hair dryer. The room has amazing views from the balcony. The Classic Medium Studio room sleep 2 people, 1 Queen, with additional fold out bed if required. 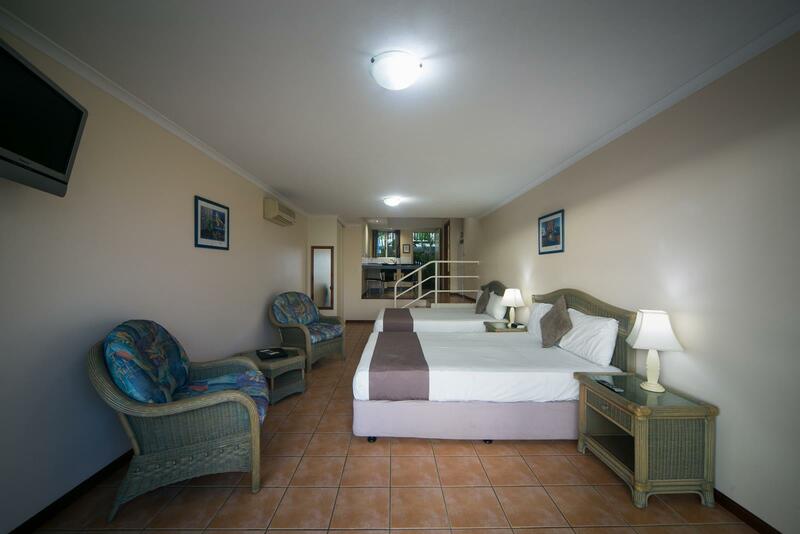 The room has an ensuite and kitchenette including WIFI, Air con, ceiling fans, TV, Hot plates & cooking gear, Microwave, refrigerator, hair dryer. The room has amazing views from the balcony. The Classic Large Studio room sleep 1-4 people, 2 Queen, with additional fold out bed if required. 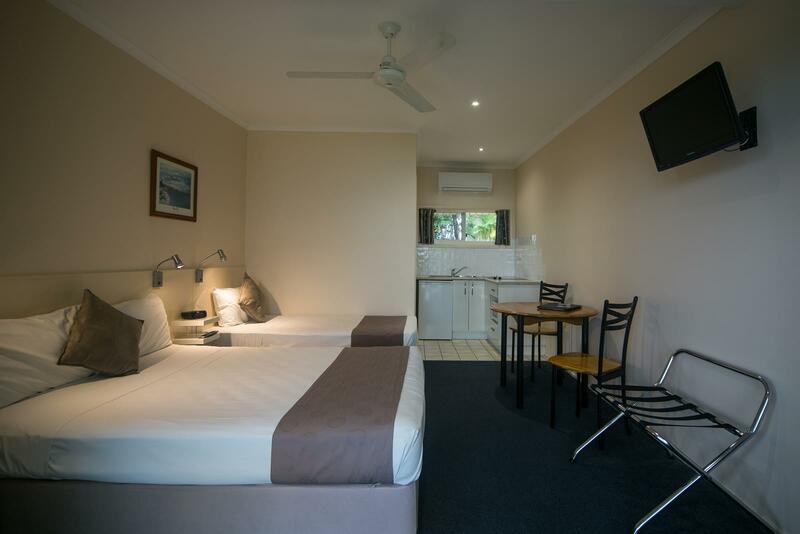 The room has an ensuite and kitchenette including WIFI, Air con, ceiling fans, TV, Hot plates & cooking gear, Microwave, refrigerator, hair dryer. The room has amazing views from the balcony. The Classic One Bedroom room sleep 1-5 people, 1 Queen, 3 Singles with additional fold out bed if required. The room has a bathroom and kitchenette including WIFI, Air con, ceiling fans, TV, Hot plates & cooking gear, Microwave, refrigerator, hair dryer. The room has amazing views from the balcony.